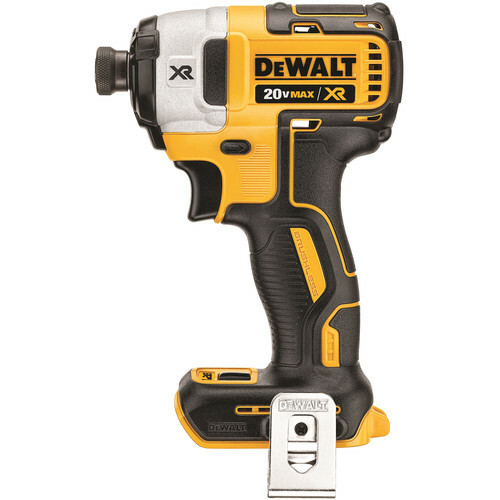 DeWalt's DCF899P2 20V MAX XR Cordless Lithium-Ion 1/2 in. Brushless Detent Pin Impact Wrench is designed with high torque for mechanical contractors, plumbers, automotive users, remodelers, and maintenance and repair professionals. It is engineered for professionals who demand a tool for difficult fastening applications such as driving and removing fasteners, nuts and bolts in wood, metal, and concrete. 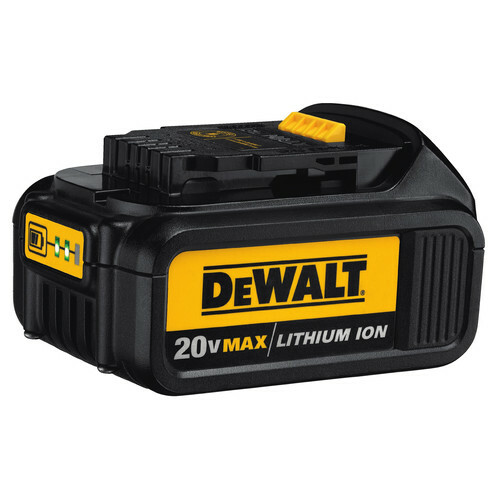 Complete with two 20V MAX Premium XR 5.0 Ah Li-Ion batteries, this kit delivers the power, durability, and control you need to tackle a wide range of heavy-duty fastening applications on the jobsite. I’ve had this for a year now and absolutely love it!!! I use it multiple times a week to take mower blades off and on!!! Nothing slows it down!! Great product!! I was working as a technicians hand over the summer. About halfway through the summer, the tech took a week off and I was left by myself and given a handful of tasks, one of which was to work with someone else on a trommel rebuild. With the other tech (and his tools) gone, I was in a bind. I went to tractor supply and bought this gun to get me through the week and wow. This thing has been great. We were working with massive bolts that had been marred and rusted, and this gun didnt miss a beat. Now that I'm back to school for the winter, I've lent it to my Dad whose done multiple tire rotations and brake jobs and he likes it more than his air impact because he doesnt need to drag out 20 feet of hose to use it, and it's more powerful. An excellent product would recommend. I have the DCF899M1 from tractor supply. It has the 4Ah battery, it has handled everything I have thrown at it. USE EAR PROTECTION progress is loud. Wish list for this tool, a guard that goes around the body of the tool (the red tool has one to keep it cleaner, I understand air circulation is an issue. I would buy this monster of an impact again. This impact wrench is the best I've ever owned. We use it in an extremely corrosive environment. Will bust 7/8" flange bolts with little problem. I've used it everyday for almost a year. The only problem is after repeated use the battery is wiggling more than before. Big brother you always wanted. I work with equipment that is pressure washed and sanitized every night and corrosion is prevalent and to make it worse we can not use anything like anti-seize since we deal with food. So when the 3/8" torque wrench would not budge it, this version worked with the first pull of the trigger. It is a little unbalanced, top heavy, but just takes a little getting used to. But it is well worth the effort. I recommend trying it you will like it. I have always had to use a large fan and open opposing windows to clear the massive amount of dust when grinding a concrete floor. Had a 19'X 12.5' room to tile but it was very uneven. Bought this shroud and was amazed with it. Used a paper bag filter in the vac to prolong its capacity. This shroud worked so well we closed the windows and turned the A/C back on. Went to the Depot and picked up a 1 1/2 X 1 1/4 neoprene pipe coupler and used it to connect to the shroud and a 1 7/8" vac hose. Solved that problem and very easy to use. I intend to purchase the dust shroud for cutting on my 7" grinder also. Does this come with carrying bag? BEST ANSWER: Yes, this kit comes with a carrying bag. batteries charger use with power line 220V? BEST ANSWER: No, this is a 110 volt unit. BEST ANSWER: The DCF899HP2 has a friction ring for bolts. The DCF899P2 has a detent pin. BEST ANSWER: Yes it can.